Iran has become the 9th member of the the elite group of nations capable of launching satellites into space. The other eight members of this exclusive club are Russia, United States, France, Japan, China, United Kingdom, India and Israel. The satellite, named Omid (Hope), carried on a two-stage Safir-2 rocket, was meant for telecommunication and research purposes, Iranian state TV said. Iran's entry in space marks the 30th anniversary of the Islamic Revolution in Iran. According to Iran's state television, "The Omid national satellite is a light satellite. This satellite has been put into the orbit to set up a two-way communication with the land station, to determine the orbit specifications, telemetry, and the specifications of subsystems". John Pike, an expert at the US-based think-tank GlobalSecurity.org, confirmed to the BBC that the launch had been a success and the satellite was now established in a low Earth orbit. At that altitude it is likely to remain in orbit for some two months before falling back towards Earth and burning up as it re-enters the atmosphere, he told the BBC. To deflect the expected Western criticism, Iranian foreign minister said, "Iran's satellite technology is for purely peaceful purposes and to meet the needs of the country". Mr Mottaki was talking with press in Addis Ababa, Ethiopia, where he is attending an African summit. The western criticism, however, came swiftly. US state department official Robert Wood said Iran's activities could "possibly lead to the development of ballistic missiles" and were of "great concern". French foreign ministry spokesman Eric Chevallier said France was "very concerned" about the launch. According to Professor Gerald Steinberg, the Political Studies Department Chair at Bar Ilan University in Israel, the technical complexity and high cost of developing these technologies have limited the number of non-OECD states that have succeeded in developing an indigenous space launcher capability to India and Israel. Other states, such as Brazil and perhaps Pakistan, have initiated programs designed to reach this objective, but the high costs and limits placed by the Missile Technology Control Regime, as well as unilateral export controls imposed by the US have slowed or blocked these efforts. Professor Steinberg has discussed Pakistan's space efforts at some length in his report. He says that Pakistan Space and Upper Atmosphere Research Commission (SUPARCO), along with the Space Research Council (SRC) are responsible for Pakistan's space activities and development plans. In the past five years, SUPARCO has overseen the production and testing of sounding rockets, with an average of 3 or 4 launches per year and carrying high altitude and ionosphere research payloads. The 2-stage Shahpar launcher has a payload of 55 kilograms and reaches an altitude of 450 kilometers. 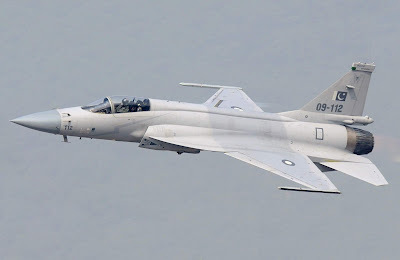 In 1986, Pakistan contracted for the purchase of missile technology and a launch facility with an American firm (ISC Technologies), at a reported cost of $200-$300m. According to press reports, after 10% of the obligations were paid, Pakistan began to doubt if ISC could provide the assistance that had been anticipated, and apparently no useful technologies were transferred. SUPARCO is also active in sponsoring satellite development. The BADR-1 experimental digital communications satellite was launched by a Chinese Long March 2E in July 1990. It weighed 52 kilogram and had an orbital lifetime of 6 months. As in the case of Korea, the design for this micro-satellite was apparently based on the University of Surrey platform. As in the case of India and other states, Pakistan is also seeking to develop and operate remote sensing spacecraft. Officially, Pakistan claims to seek this capability in order to obtain data for precise mapping, flood control, pollution, and the location and development of mineral deposits and other natural resources. Despite a small budget ($7.5 million annually), Pakistan developed the BADR-2 satellite, which employs a gravity gradient stabilization system, and carries a charge coupled device camera to test image transmission. SUPARCO saw major cuts in its budget in the 1980s and 1990s. In 2007, its annual budget was a modest $6m. In fact, Pakistan had no communication satellites in space until 2003. The urgency to place its first satellite in a geo-stationary orbit was keenly felt in the middle of 2003, by which time Pakistan had already lost four of its five allocated space slots. The five slots were allocated to Pakistan by ITU (International Telecommunication Union) back in 1984, but the country failed to launch any satellite till 1995. That year Pakistan again applied for and received the five slots, but once again the government failed to get a satellite into orbit, losing four of it slots in the process. According to officials, if Pakistan had failed to launch its satellite by April 19, 2003, the country would have lost its fifth and last 38-degree east slot when the availability of these space slots is getting difficult every day. With the country's extensive experience in ballistic missile technology, Pakistan possesses the fundamental pieces of technology know-how and hardware to put together a satellite launch vehicle (SLV) in a relatively short time. However, it is unlikely that Pakistan will boost space spending to try and follow its better funded neighbors into space any time soon, given its current economic crisis. 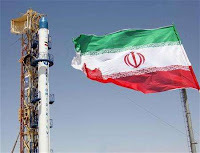 The Iranian satellite launch is likely to dramatically increase the clamoring by Israel and its supporters to act against Iran. They will no longer be content with the US covert actions already underway to destabilize Iran. There will be tremendous pressure on the Obama administration by the Israel lobby to launch strikes against Iranian sites developing nuclear and missile technologies. Any such strikes by US against Iran will completely scuttle the broader US domestic and international agenda under the new administration in Washington.